I’ll begin by apologizing to the Jewish Federations of North America, the World Zionist Organization and any other Jewish umbrella organization that may be, unbeknownst to me, arranging solidarity rallies, protests, or counter protests somewhere in the United States. However, as these words are published in the blogosphere, I have no knowledge of any such plans. Are we too glued to our Facebook updates to be able to get out and protest? Are we going to rely on Bill Clinton’s defense of Israel’s moral superiority on Indian TV? Is Bill Maher’s momentary episode of reason giving us enough comfort? As we watch the tens of thousands of pro-Palestinian protests across European capitals and North American cities, the silence of most Jewish communities is deafening. At a recent AIPAC fundraiser in downtown Cleveland, I couldn’t help feeling uncomfortable with the contrast between Jewish participants pulling up to the valet service while a hundreds strong “Free Gaza” protest was taking place across the street. The sterile, quiet, suited middle aged Jews versus a gritty, loud, emotional crowd thirty feet away was stirring and nothing short of distressing. As uniformed Jewish men and women are fighting to protect Israeli citizenry on the southern front, they too are watching the protests mounted against them around the world and are asking, where are the Jews? This is the first time in memorable history that I can recall a shift in media analysis and interpretation of the conflict. Media outlets, albeit with hesitation and qualification, are finally starting to report about the real culprit, the root of the conflict and Israel’s natural right to defend itself. It is imperative that all Jewish communities react to this respite in criticism and generate public opinion momentum through peaceful, but loud and massive public gatherings. As prominent as social media has become in advocacy discourse, I have yet to see a CNN story on how many Likes Charles Krauthammer’s excellent Moral Clarity in Gaza piece received on Facebook. According to the Taglit-Birthright Israel website, as of July 18th, only 10 out of 5000 participants in this summer’s programming have changed their plans to visit Israel. This is very reassuring. I challenge the professional leadership of Jewish North America to embrace Birthright’s unwavering attitude and immediately organize and publicize mass rallies in New York, Washington, Toronto and other anchor communities. Our fellow Jews have had to endure ceaseless barrages of rockets and hot bomb shelter ennui, injury and even loss of life. Let’s get off our smartphone screens and free up our hands to wave a flag – rain or shine- and let the IDF and all Israelis know that our hearts and minds are with them. And yes, if you simply Like this piece, that’s simply not enough. 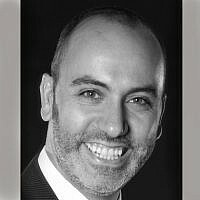 A practicing attorney and businessman in Cleveland, Ohio, Eliav's perspective is shaped as much by his youth on a Moshav farm, as it is by his current professional endeavors.